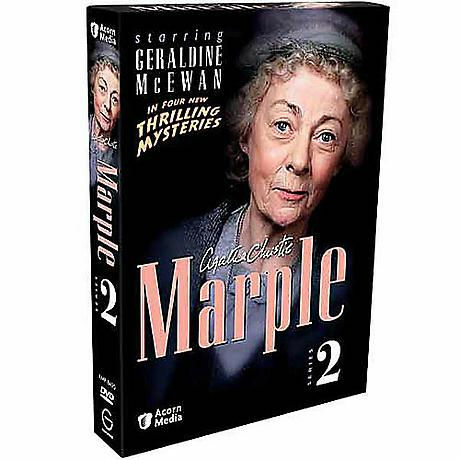 Geraldine McEwan is Dame Agatha's spinster sleuth--proper, demure, and sharp as a tack--in sparkling new adaptations of classic Christie novels. These 21st-century productions are rich in post-WWII period atmosphere. Guest actors include Joanna Lumley, Derek Jacobi, and Anthony Andrews. Seen on Mystery!. 4 episodes; approx. 372 min. on 4 DVDs.